Why is it so hard to question corruption In NZ ? 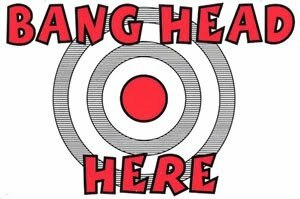 So after banging my head agaisnt a brick wall for 7 years I start another round with the ombudsmen. Take it from me don’t ever question anything that looks tin the slightest way corrupt In New Zealand if you do your life will be in tatters. I speak from experience. It appears to me that every one knows how useless the ombudsmen s office is so councils regularly refuse information.. why should they comply ? This way they can conceal corruption and buy time. I am being totally ignored. Having questioned this gross corruption many years ago and seeing new developments and questioning this I have found myself being harassed by the council and my information requests rejected. 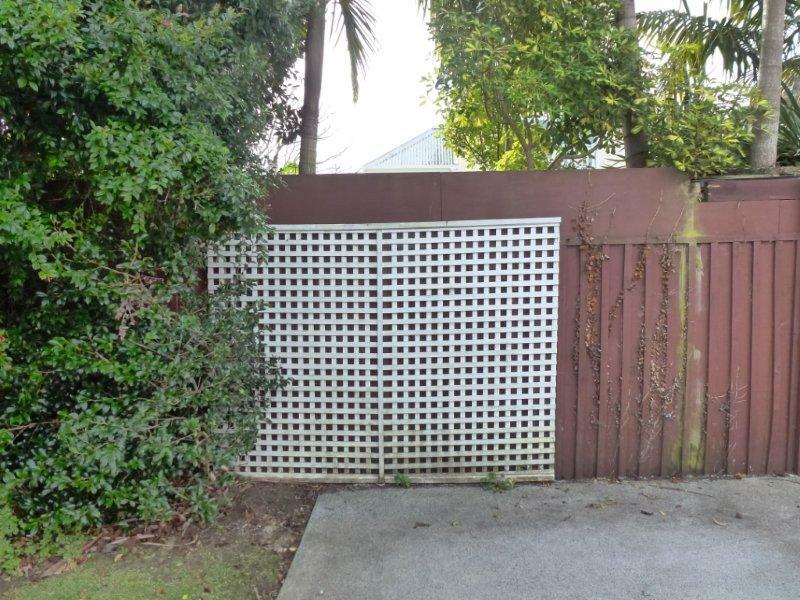 I now find that a block wall has been thrown up in my path and all my LGOIMA requests are being refused while I am being harassed by council. I believe that this was deliberate harassment as it occurred simultaneously as the liquidation of my company though non service of documents. It has been 7 years since I questioned the use of council facilities by a manager for private pecuniary gain, 7 years of shear HELL .No one cares a dam that people can write legislation for their own business plan and use council facilities to run the operation.. all we care about is concealing corruption. The ombudsmen’s office has been singularly useless and the office of the auditor general likes wise. It comes as no surprise that both are members of Transparency International ( New Zealand ) and both the office of the auditor general and the ombudsmen appear to be condoning corruption rather than taking action on it. You will need to log in to see the video . Counsel for council stopped me from reading from my script which is located here Open Forum – 28 Feb 2013 and falsely advises the mayor that there is an injunction that prevents me from speaking about the fictional AWINZ , when there is no such injunction in place. Ms Brandon has also sent out emails to Councillors in which I was the subject matter and the comments were wrong and defamatory, she is ignoring my requests for a copy of the email . It is very hard to convince me that New Zealand is the least corrupt and I ask the Ombudsmen to investigate the following. 2. The harassment by Auckland council as set out in http://www.transparency.net.nz/2012/07/22/harassment-by-auckland-council/ and the subsequent debt recovery action when no invoice has ever been sent to me. Had the office of the Ombudsmen done its job properly in the first place I would not have had to endure all of this it appears that the ombudsmen’s office is doing little to prevent corruption in New Zealand. It has allowed MAF to get away with giving law enforcement authority to a fictional organisation and then allowed it to cover up.It has condoned Waitakere council in not acting when employees use their office for private pecuniary gain. I find it amusing that your logo is fairness to all. I am a whistle-blower and you have proved to me that whistle-blowers do not even get the support of the ombudsmen in new Zealand.. its all about promoting the perception of us being the least corrupt. So here goes another round of me banging my head against the proverbial brick wall I wonder how many years you will take this time to write this off. But we can all rest easy the perception is that there is no corruption its just idiots like me who walk into the trap and have their lives ruined because they think New Zealand has a hard line on corruption when in reality we just sweep it under the carpet. copies of this is going to the international press I am sure with NZ in the news for tax havens they will be interested in seeing how NZ conceals corruption. Transparency International New Zealand if you can’t join them expose them. I have long been critical of Transparency International New Zealand mainly because they will not let me join and have never given me a valid reason for not allowing me to join. I have not been given the opportunity for as much as an interview and I have to wonder why a person such as myself is not allowed to join transparency International which has a logo on their web site which says corruption ruins lives. While Transparency International claims that they are there to assist those who have suffered at the hands of corruption Transparency International New Zealand treat me as Persona non grata. I believed that this warranted a closer look into Transparency International New Zealand . Now this is significant as incorporated societies are unique in the manner in which they can govern .. the rules which the registrar has accepted are the only rules which apply. Therefore we are at a bit of a loss to see what the rules are. I have inquired with the registrar and they advise me that those documents were lost in a fire .. strange I thought that such records could not be lost, the records after all are only duplicates and the originals can be copied again and the documents sent in. I have done a full OIA in the name of transparency to find out when and where the fire was. The Registrar kindly directed me to the charities web site where indeed we find a copy of what is allegedly the rules. Except for the fact that I consider any constitutional document which has not been signed as being just a bit of paper with words on it. This is a copy of it it is called Charity Rules. I note that there is a further copy of the rules on the transparency New Zealand web site. These rules Rules-Transparency-International-New-Zealand-Dec-2009 were allegedly passed in December 2009 and are different to the rules on the charities site they are again unsigned. I took a trip down memory lane and dived into the internet archives to find yet a third set of rules 06 11-06 Transparency International (NZ) Inc Rules which referred to a fourth set of rules which may or may not have been the original rules. yes and each is different and due to the lack of filing with the registrar not one of the rules which Transparency International NZ operates by is valid. I also note that on the incorporated societies registration the address for transparency International still shows as being Level 4 James Smith Cr Cuba & Manners Sts Wellington, we know that they have moved from there but they get around this by stating their post office address on the charities web site as their street address. But what is funnier yet is that the registrar of incorporated societies has their address as PO BOX 5428 and the charities commission show it as Po Box 5248 Perhaps that is why I cannot join Transparency International, I pay attention to detail and they do not. I comply with the law and they appear to be totally ignorant of the law for the running of their own incorporated society. with so many high ranking government officials on board you wonder if any one looks at basics ? If they cannot see the issues with their own organization how could they spot corruption if they fell over it. David Macdonald, former Auditor General of New Zealand. Murray Petrie, public sector management consultant, former NZ diplomat and former IMF official. Dr Rodger Spiller, Mg. Dir. Money Matters; and, Director, Centre for Business Ethics and Sustainable Development, Auckland. The Hon. Hugh Templeton, former Minister of the Crown. Marcus Pelto, development and governance advocacy consultant. This brings me on to the subject of the obvious connection between Transparency International NZ and government .. as if that isn’t half obvious with the above. According to the financial statements the office of the auditor general has given them $15,000 for research and the s office of the ombudsman is a member. I now understand why I cannot join. Suzanne Snively is protecting the reputation of New Zealand she is being positive about it. People like myself are seen as negative because I point out the corruption. I have a strange notion that by pointing out corruption you can fix it , its like cancer lets ignore it and you will die. lets treat it early and you can live.. now that’s radical ! Corruption is like Cancer. the corruption I suffered was due to the illusion of a trust being thrown into the picture.. If transparency International cannot understand or even run their own organization legitimately how could they even begin to understand the corruption I am involved with. Perhaps I should just take the IQ lowering pill and it will all go away. People who think that pretending that new Zealand has no corruption and being positive about there being no corruption are not doing any one a favour . Its like a mother always saying” of course that’s Ok little Johnny “and then wondering why she has raised an axe murder. I have never asked transparency International to investigate my matter , I do believe that through my experience I can help set systems in place which will assist New Zealand on the path away from becoming the corrupt country it is recessing into. Why should some one else go through what I have had to enure? But instead lets just talk to the people who run the government departments and ignore the so called Customers who have had a raw deal… that is actually called customer feed back .. its what improves companies and societies alike. But in the end If you cant joint them you have to beat them .. If those who have had their lives wrecked by corruption are not welcome on Transparency International because we point out corruption then we have to build Transparency New Zealand will you join me ..
First I find it ironic that he has investigated himself, which is far from transparent or acceptable. Secondly Mr Mckay is factually incorrect and I rather suspect that the whole thing has been written by Wendy Brandon general counsel for council whose actions I sought to complaint to councillors about . Due to her diversion you would not have received that email it is located on line at this link Urgent call for the suspension of Wendy Brandon. I believe that it is significant when such an email is diverted away from those it was addressed to . There appears to have been a lack of consideration for the fact that the councillors are not employees of the council, they are the governing body. We have to wonder just who is making the decisions and who is calling the shots. It may be that we can dispense with councillors and just put the general counsel in charge, she does not appear not be accountable to anyone. I am a licenced private investigator, ex-police Prosecuting sergeant; it is my place to ask questions. Lyn was dismissed for having spoken to me at least two others were similarly disposed of. It is significant that I was approached recently by a council employee who agreed about what I had said about corruption but I was told that they dared not speak up due to the fear of losing their jobs. Anyone who hears my story will take it as a strong message to keep quiet about the goings on in council. That although the Animal welfare institute of New Zealand (AWINZ )had law enforcement powers equivalent to those of the RNZSPCA , it did not exist in any independent form as a legal entity. 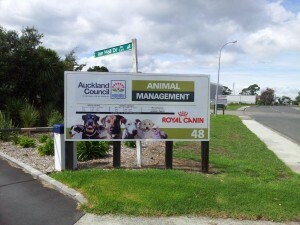 The only identifiable person associated with was Mr Neil Wells , the council manager dog control, who had written and advised on the legislation which had enabled the fictional AWINZ to become a law enforcement authority . Internationally this is known as form of corruption known as public office for private pecuniary gain. The reality is that AWINZ did not exist. When a person claims a degree or qualification they do not have we all decry it. Here we had a law enforcement authority which was in reality only the man who wrote and advised on the legislation making an application in a pseudonym and later constructing a trust to disguise this. Yet this is OK ? 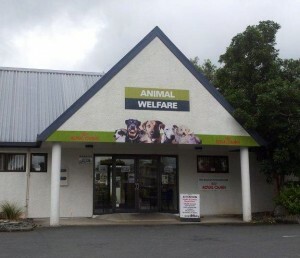 I foolishly expected Waitakere city council to investigate the use of its premises for other than council business and I even more foolishly expected MAF to admit that they had been deceived as to the existence and structure of AWINZ and had given coercive law enforcement powers to an undefined trading name. Instead both MAF and council have gone to great lengths to conceal this corruption. I have not breached any injunctions and I have not defamed any one in making these statements I make them knowing that I have a truck load of evidence to support what I say . I am happy to present the evidence to any of you who are interested. Any issue of injunction is an issue for me not for council. I am further concerned that the interpretation of events which have been conveyed to you by the CEO are so inaccurate that it means that he has no concept of the seriousness of my complaint and to that end I ask that I can work with councillors and appointed staff and step you through the evidence so that there are no misconceptions about what I am on about, that way the fraud can be exposed going forward it will not come back to haunt anyone who has from this point on turned a blind eye to it . Just after the amalgamation into the super city, the fictitious AWINZ lost its law enforcement authority and Mr Wells left the council. I was aware of Mr Wells’ relationship with Bob Harvey and hoped that a new council would ensure transparency and independence. Mr Mc Kay doesn’t make it clear who decided that I should be case managed and he does not state where he gets his powers from to make decisions for councillors and affecting Governance. We appear to have lost sight of the structure of council Governance sits at the top. Governance that is the councillors hire a CEO who then employ the solicitor and the rest of the staff. It is particularly serious when one of the emails diverted was one in which I made a formal complaint to governance with regards to Wendy Brandon. This email has apparently gone only to her, this is a wonderful way for employees to prevent accountability for their actions, this alone is a serious matter which should be looked at. The” legal risk” is the risk which Wendy Brandon has identified as potential liability for the manner in which council have treated me a whistle blower on an issue of serious public corruption. In any real scenario and in a perfect world I would be eligible for compensation for the neglect of council to deal with corruption. On the other hand I just want the 7 year nightmare to be over and have my name cleared. I am however not prepared to give council a waiver for liability as their actions or lack of actions has cost me an obscene amount. I note that what I have said over the years has not fallen on deaf ears, the latest example being the rebranding of the Concourse facility from Animal Welfare to Animal management. Because Council has failed to do the proper thing and investigate and stop a further four years of fraud I have had to endure 7 years of litigation , my family has been torn apart and a 23 year marriage came to an end due to the stress forced on me due to council apparently condoning corruption. If council can do this then there is a serious issue . Had council acted in a responsible manner they would have investigated this and dealt with it as diligently as they do with swimming pool fencing and parking tickets. The evidence was there I know because I have it. It just takes someone to act but to do so would prove liability on the council and that is why I am a risk. One has to ask if it is the job for counsel for council to conceal corruption when it is in reality her responsibility to ensure that the rule of law is followed. By allowing council to act in a corrupt manner she is acting according to law. The more that Ms Brandon has acted to conceal corruption the more she has to do to influence Councillors because by her own actions she is becoming an accessory after the fact and is acting in the concealment of crime. Ms Brandon is therefore in a serious situation of conflict of interest. If you accept that corruption has occurred then she will lose her job, it is better to dump on me than for her lose her job she is does appear to be pulling all the strings. The fact that the corruption has been allowed to be concealed since amalgamation proves that corruption is on-going as the same mentality persists. This statement is incorrect . The questions I asked was with regards to the manager of dog and stock control running his own business from council premises, the two ran parallel so much so that MAF stated that they could not see where council ended and the private enterprise began. 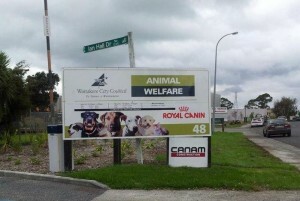 Put simply Mr Wells was running an RNZSPCA equivalent from council premises, but unlike the RNZSPA which pays outgoings and receives income Mr wells did away with the outgoings by being a parasite off council resources using plant staff , infrastructure , the profit was for personal gain only he operated the bank account which was in the trading name of AWINZ, no trust deed was associated with it. He concocted a trust which he claimed was AWINZ but there is no evidence that this trust was the law enforcement authority or even ran AWINZ , significantly there were two trusts, the first trust Tom Didovich collected the trustees signatures whilst manager of dog control and he became a trustee of the second trust when the holes in the argument for the first trust became too large to patch. Mr Wells and the former Manager Tom Didovich are entwined in this project and deceived the minister and council alike. I have evidence that council funds were used to set up Mr Wells’s private business venture . No the trust did not exist, hence there were no trustees involved with the running of the operation of the council premises the trust is a diversionary tactic a identify fraud used to confuse and deceive. The only persons involved in the actual corruption in council were the two managers of animal control Mr Didovich and Mr Wells. No one has ever bothered to interview the staff about what was going on. 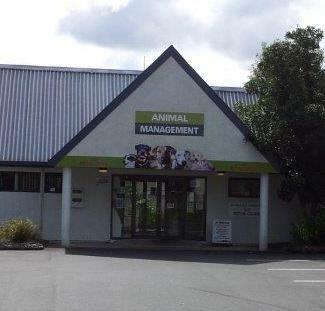 No one has ever quantified how much it cost the rate payers to run the Animal welfare institute of New Zealand from council premises. No ordinary company would allow a manager to run his own business from the premises using the companies infrastructure staff an time.. so why is it Ok in council ? Her allegations have been tested in both the District Court and the High Court and found to be baseless. Her campaign against the trustees persists in the face of an injunction prohibiting her from persisting with her ‘denigration’ of the trustees. No my allegations have never been tested in the court. Mr Wells took me to court on defamation claims; he used false claims to drive up the costs, and then used these costs to strike out my defence of truth and honest opinion. The matter went straight to sentencing and no evidence alleging that I made any statement or in which context I made the statement was ever produced and these were never tested against the truth. The case is now back before the court as I have extensive evidence that the judgement was obtained by fraud and misleading the court. The only matter which was appealed was the striking out of my defence. I was placed at a disadvantage as Mr Wells used Charitable dollars to fuel the proceedings I was going through a separation and had bank accounts frozen on me. Anyone who has been through our legal system will know that this places you at a disadvantage. New Evidence came to hand only after the judgement was issued. Without funds I have been fighting teams of lawyer’s hell bent on keeping the lid on this corruption as several highly regarded persons would find themselves behind bars. It is better to destroy me than it is to make the true criminals accountable. The court matter has nothing to do with the fact that council premises were being used for private pecuniary gain. The council has never gone through its own records to see how its animal control officers became warranted under the fictional AWINZ and why so many lost their jobs in “ confidential “ circumstances . Information was initially withheld from me, I had to get the ombudsman involved and after that I was allowed to access files at both MAF at Waitakere council. Interestingly enough large chunks of Waitakere’s documentation with regards to animal control were missing. When I collated the two lots of information I found that there was much contradiction between what was being said to MAF and what appeared on the council files. This required LGOIMA requests to clarify. The Lgoima requests would come back vague and this would require a further request. As I drilled down through the documents more and more discrepancies were revealed, I sent some documents to Wendy Brandon to evaluate and it was at about that time that I was told that I could not have any further information. She no doubt saw how dangerous the information I was receiving was as it showed time and time again that MAF and council both had a different version of events. Instead of using it for resolution she used this information of concealment as she realised that what I was saying was true. I believe that her actions are those of concealing and condoning corruption. Wendy Brandon has not interpreted the judgement correctly , the judgement is dated 2008 I have published many articles I have brought them to Mr Wells attention and not once has he claimed that I am breaching the injunction or claimed that I am denigrating him. It is ultimately for no one else but the party who has the injunction, to enforce it, it is no concern to the council and if council is that concerned about past employees injunction then council should also be concerned with the actions of that employee and the corruption which surrounds his activities. The injunction is not against council. I have documentary evidence on which I base all my statements and everything I state is truth to the best of my knowledge and belief. In court I had fewer rights than a criminal and I have had a penalty of far greater proportion than any fraudster would receive. You have to ask yourselves why Is Wendy Brandon going to these lengths to conceal corruption , this should be a case study at the very least to prevent further events of this nature an honest and diligent lawyer would ensure that council runs corruption free, that ultimately is in the best inters of the law which governs council. Since November 1st 2010, Ms Haden has sent nearly 500 emails to Auckland Council, nearly all of which have been sent or copied to General Counsel. All of Ms Haden’s emails to council have been read, assessed for action, and retained in council’s records. Ordinary people and lawyers count differently, I send one email to 30 people I count it as 1 email. Lawyers count it as 30. I have not sent 500 emails and I believe that this is an attempt to vilify me. I am guilty of one thing.. Questioning corruption which appears to be the ultimate crime. I did not include Wendy Brandon in my emails and the statement by Mr MC Kay therefore serves to prove that the management of my case was handed over from Waitakere city to Auckland council, it is therefore grounds for me to assume that Auckland council through the staff who were instructed by Waitakere have continued to conceal corruption. I do not have a campaign against AWINZ and its trustees. AWINZ has never had any independent legal existence and there is now more than one trust called AWINZ plus several more groups who have used the trading name . My issue with council at all times has been the corrupt use of council facilities by staff and the concealment and apparent condoning of corruption by staff. This almost sounds sinister, I am the director of Transparency New Zealand Ltd, I operate the web site Transparency.net.nz and anticorruption.co.nz you will find the evidence supporting my claims on those sites. I believe that corruption cannot flourish in a truly transparent society and I also believe that corruption ruins lives- it did to me and my family and all I did was question something which any rate payer should be able to question. In so doing I have become the villain in the piece. I ask each and every one of you – Are you going to allow council to continue to conceal corruption or are you going to ensure that rate payer funds are used for a proper purpose .This is your opportunity as the governance body to draw a line in the sand and take a stand on corruption. If you do nothing then you do not deserve to represent us the rate payers .No one said it would be easy but corruption should not be tolerated , our rates are too high and there has to be diligence in how council is governed. In the interest of transparency I will be publishing this on the transparency web site so that all rate payers can see how this is dealt with . I am happy to come and present on this matter to you to show how it occurred. Transparency International have turned my application for membership down for the third time. Suzanne Snively sent a reply on behalf of TINZ declining me once again. It appears that she does not like the comments which I make with regards to transparency International she has however never pointed which statements she is referring to and she has not told me which sites in particular she is looking at, it could well be that she is looking at some one else web site and attributing comments to me. Suzanne you are not being very transparent. This led me to looking at the constitution of transparency International .An incorporated society only has one set of operative rules and those are the ones listed on the register of incorporated societies and those are the copies of the rules which the registrar has accepted. Imagine then my surprise when I found that Transparency International New Zealand does not have any rules listed with the registrar.Does this make them unconstitutional ? I phoned the societies registrar this morning and confirmed that they did not hold a copy of the rules…. see the page as it appeared 2nd April NZ Companies Office – View Details transparency international not very transparent I would have thought. There is a copy available on the charities web site but it is not an official copy , not good enough we think for transparency International which has so much international clout. Those listed on the governance site represent amongst them the large accountancy companies and appear to be well connected with Government and big business, the representation is mainly of the rich and famous , those of us who bang our heads against the corporate walls are not welcome. It is after all about perception and we bring too much reality and insist on accuracy. By way of example today Transparency International Via Suzan Snively published a press release No+Complacency+for+Corruption-TINZ-PR. 3.And to the best of our knowledge there have been no surveys done here or internationally with regards to the integrity of public sectors in a setting which allows comparisons to be made. We have written to Suzanne and requested clarification we will update you when the reply is received.